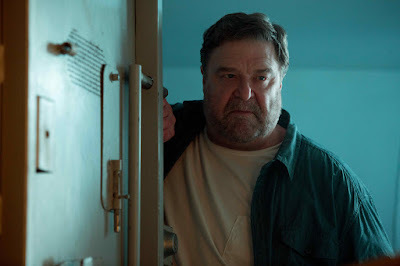 Home / CELEBRITY NEWS / Will "10 Cloverfield Lane" Give John Goodman His First Oscar Nom? Will "10 Cloverfield Lane" Give John Goodman His First Oscar Nom? So, to repeat the title of this article, will “10 Cloverfield Lane” give John Goodman his first Academy Award nomination? Is the universe conspiring to realize this eventuality? We have to wait and see when the nominations are announced on January 2017. In the meantime, let's read the actor's thoughts on the film that could bring him Oscar glory. Question: Your character in “10 Cloverfield Lane” could be considered an evil villain. Do you find it more satisfying as an actor to play someone of dubious morality? John Goodman: You get more lines. The flip side of that is that you have more lines to memorize. And at my advanced age, you know. But John [Gallagher Jr.] and Mary Elizabeth [Winstead] were very patient with me, and I had an excellent director. Q: A lot of movie trailers give away the plot of the entire movie, but that obviously wasn’t the case with “10 Cloverfield Lane.” Since most of the movies produced by J.J. Abrams have a lot of secrecy about them, at what point in the production process was it decided that it would be so secretive? And what kinds of things did you have to do to keep things secret? Did you have to sign confidentiality agreements or have watermarked scripts? Goodman: [He says jokingly] We only get the rewrites on toilet paper, and it would slowly come to light in a microwave. The unfortunate thing was when we had to eat the script. Q: What was going through your mind when you first read the script for “10 Cloverfield Lane”? Goodman: [He says jokingly] Just another day at home. [He says seriously] It was different. That’s the first thing that hit me. It was different from anything I’d read before. It was interesting. It was a page-turner, which is always a good sign. It’s like reading a good book. You want to see what’s going to happen next. Goodman: I’m going to go see it. Q: What can you say about the production design of the bunker?